High School 2019 Graduates: Scholarship 2019 Board Closed December 31, 2018. College Program Applications now being accepted for Fall 2019 Freshman Students. 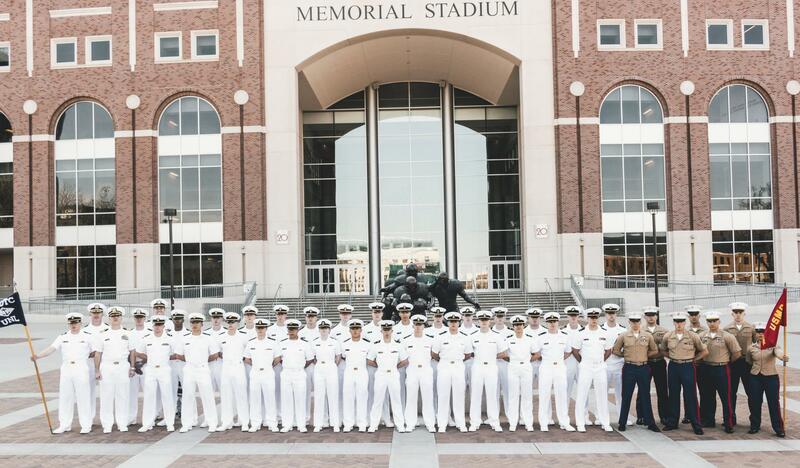 The University of Nebraska Naval Reserve Officer Training Corps (NROTC) welcomes you to the premier officer development program in the Nation. We consistently commission some of the finest officers in the U.S. Navy and the U.S. Marine Corps. If you have a desire to succeed and welcome a challenge, this program is for you. Feel free to browse this website and if you have any questions or would like to schedule a visit, contact us. © 2010 University of Nebraska-Lincoln | Lincoln, NE 68588 | 402-472-7211 | comments?